You are here: Home / Sir Jason Winters Blog / Is Your Body Getting Enough Vitamin D3 To Stay Healthy? The human body is a complex machine, wouldn’t you agree? It needs a daily intake of vitamins, minerals, protein, sugar and other nutrients to stay in optimal health. One of those vital nutrients is the infamous vitamin D3. Vitamin D3 has long been associated with sun exposure. Getting enough natural sunlight can increase levels of Vitamin D3 in the human body. However, the media, and even medical professionals, discourage people from spending too much time in the sun because of the damage it can do to the skin. This can greatly affect the body’s ability to produce vitamin D3. The levels of vitamin D3 for optimal health differ by age. The United States Institute of Medicine recommends a dietary allowance of as little as 400 iu/day for infants and as much as 700 iu/day for seniors older than 71. Vitamin D3 benefits the entire body and without a proper amount, people can suffer from Rickets, Osteomalacia, hormone problems and muscle pain and weakness. Deficiencies are caused by lack of natural sunlight and an inadequate diet. Vitamin D deficiencies are more common in the elderly, children and some studies show those with darker skin pigmentation might be more at risk for a vitamin D3 deficiency. 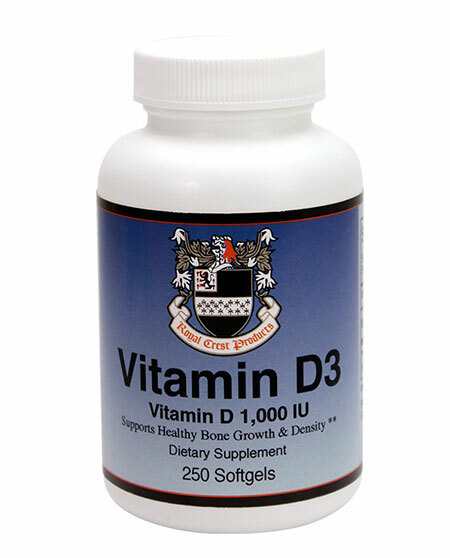 Vitamin D3 plays an important role within the entire body. It’s estimated that nearly 3,000 genes in the body depend, at least in part, on vitamin D3 for proper functioning. This doesn’t include the fact that just about every tissue in the body (more than just skin) has Vitamin D3 receptors and need this vital nutrient to function efficiently. Vitamin D3 is widely known to help keep our bones strong and healthy. This is because vitamin D3 helps the body absorb calcium, a common mineral that our bones need. If calcium can’t be absorbed correctly, then bones can become weak and brittle. Further, vitamin D is thought to help with preventing dementia, type 2 diabetes and even age-related macular degeneration. Even in our modern world people are still suffering from vitamin D3 deficiency. This is because we’re spending more time indoors (working, surfing the internet, watching television etc.) and less time outside getting the proper amount of sunlight. And while some food is often fortified with vitamin D3 (milk, for example), it’s not nearly enough to meet the recommended daily allowance. A good vitamin D3 supplement can make up for this deficiency without any major changes in lifestyle. Sir Jason Winters’ vitamin D-1,000 supplement contains 1,000 iu to help maintain healthy vitamin D levels in your body. Each bottle has 250 softgels that are designed for easy absorption. Don’t let low vitamin D levels put your health in danger. Order today at our online store.